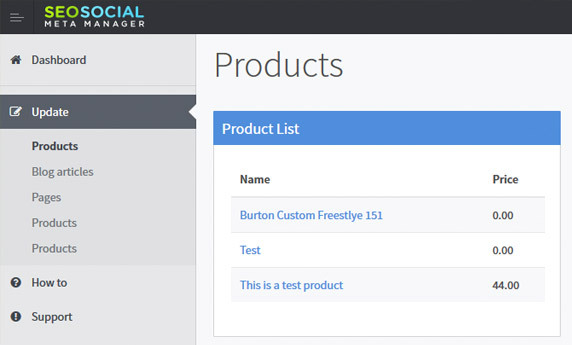 Take full control of your Shopify store’s SEO with our all-in-one metadata manager for Social and Search. Rank better in search engines like Google and Bing, and become a social sharing powerhouse with full Twitter Card, G+ Authorship & Facebook sharing meta markup. Attract more custom and make more money - you'll never need another SEO plugin! 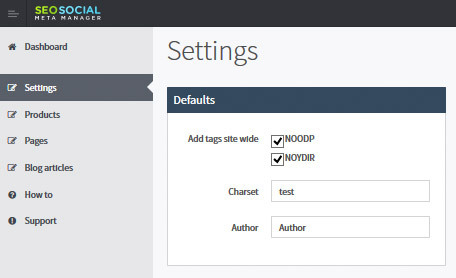 Give your all products unique titles and descriptions to make them stand out in search results, and manage your NoIndex and NoFollow tagging to make Panda and Penguin work for you. The SEO & Social Meta Manager lets you choose what information you want to share with social channels like Facebook, Twitter & Google+, from images and text to links and more. Link to your Google+ account to add all-important authorship to your Shopify product descriptions, making them yours, building your reputation, and optionally adding your photo to search results. Install in under 20 seconds and unleash your website’s full search engine potential with the only SEO and Social management Shopify app you’ll ever need! Apply NOODP and NOYIR sitewide to stop shady directories from listing your website inaccurately and causing you SEO problems.